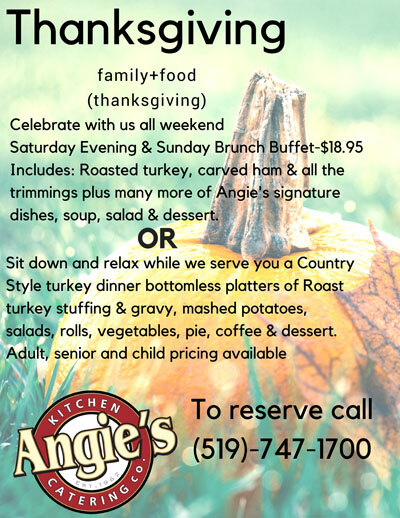 Sit down and relax while we serve you a Country Style turkey dinner bottomless playyers of Roast turkey stuffing & gravy, mashed potatoes, salads, rolls, vegetables, pie, coffee, and dessert. 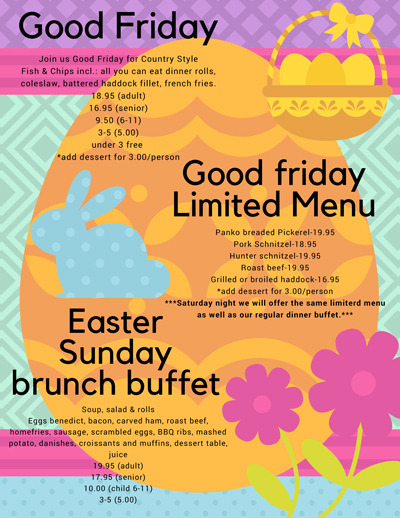 Adult, senior, and child pricing available. 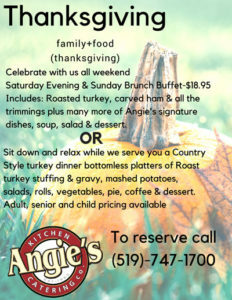 To reserve, call (519) 747-1700!